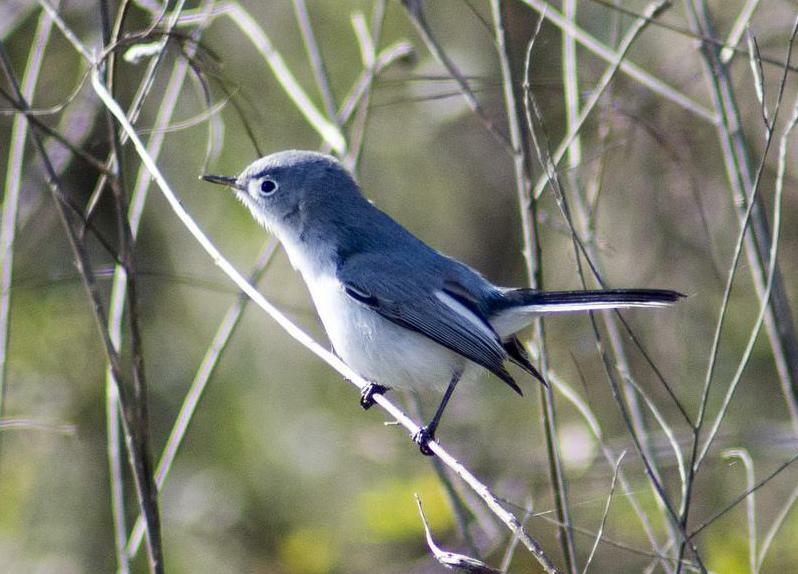 The gnatcatcher is a type of small passerine bird. 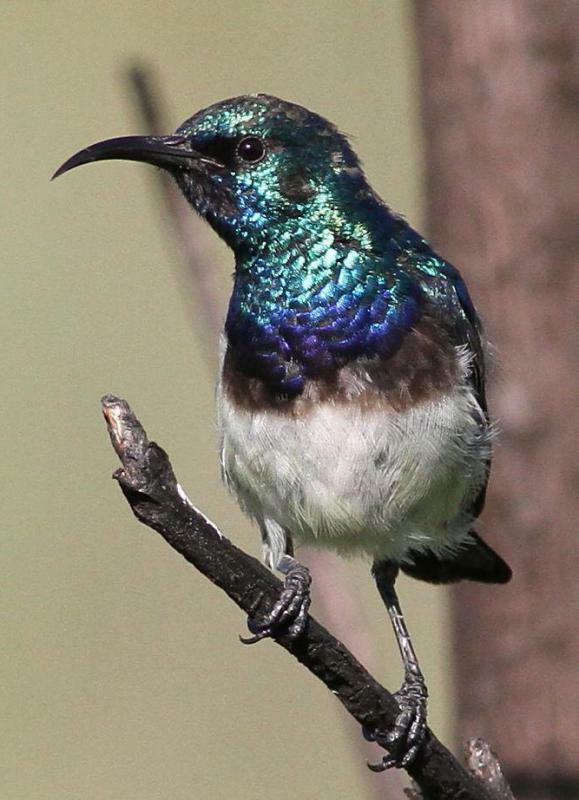 Sunbirds are a type of small passerine bird. Wrens are mostly passerine birds. 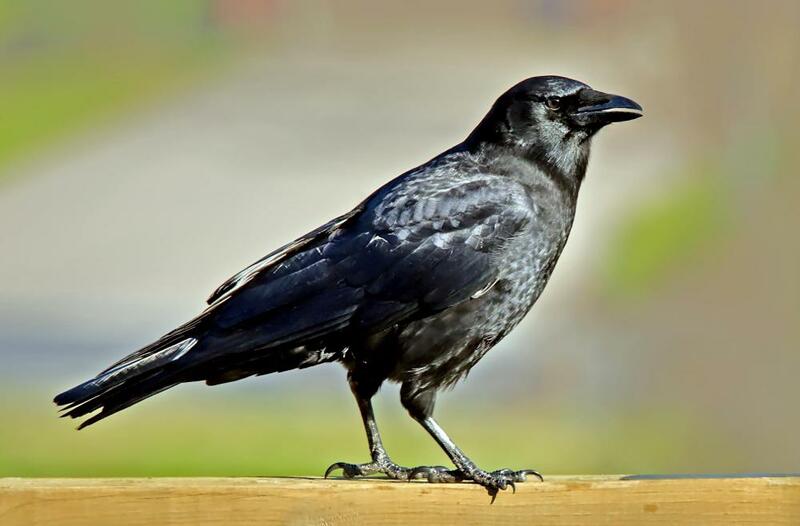 A crow, a type of passerine bird. Canaries are in the Passeriformes order. Passerine birds are birds in the order Passeriformes, which happens to be the largest and most diverse avian order. There are an estimated six thousand species in this avian order, spread out across the world. Many people are familiar with passerine birds since these birds are so abundant; sparrows, starlings, and crows, three common birds, are all passerines. In fact, sparrows lend their name to the order; passer means “sparrow” in Latin. Birds in this order are sometimes referred to as songbirds, because many of them produce distinctive and sometimes quite beautiful songs. These songs are enabled by the syrinx, a specialized vocal organ in birds which is located at the branch of the lungs. The location of the syrinx allows birds to produce two different sounds at once. However, not all passerine birds sing, and as a result, many biologists prefer to classify them as perching birds, because passerines have a distinctive anatomy which allows them to perch, and this is one of the distinguishing features of the order. Unlike non-perching birds, passerines have a toe which faces backward. This allows them to clamp onto something to perch, while other birds would simply fall off. Many passerine birds also have sharp, curved claws which help them grip the surfaces they perch on. Passerine birds have been around for at least 60 million years, according to fossil evidence, so apparently this trait has worked out quite well for them. Several other features mark passerine birds. Many lay colored eggs, for example, differentiating them from other birds, which stick with a standard-issue white. Passerines also tend to be smaller than other avians, although their sizes are quite diverse, and some do get very large. Within the order Passeriformes, there are three main sub-orders. 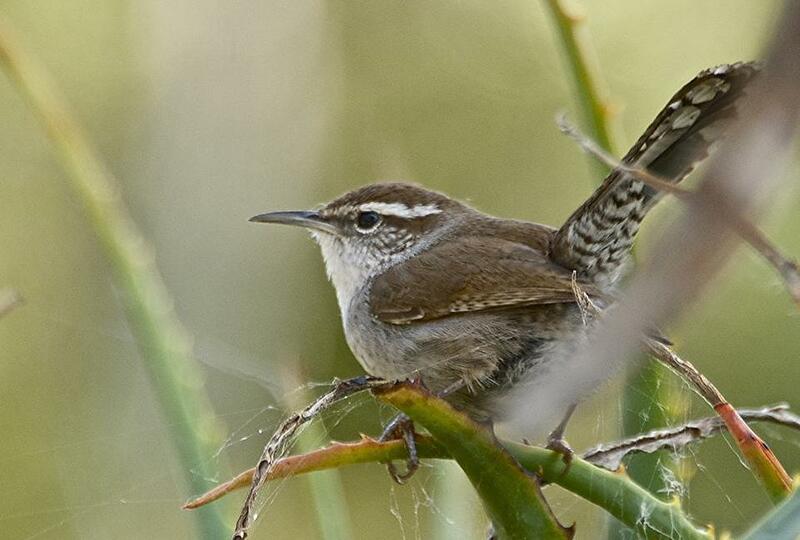 Birds in the Acanthisitti suborder are restricted to New Zealand in the modern day, although they may have once been more widely distributed around the world; these passerines are also known as New Zealand wrens. The Tyranni suborder includes passerines found primarily in South America; these birds are also called suboscines. The Passeri suborder, the largest, includes birds known as oscines, and these birds are found all over the world. How Many Toes Do Birds Have? What Are the World's Most Dangerous Birds? How Loud Is the Southern Ground Hornbill? 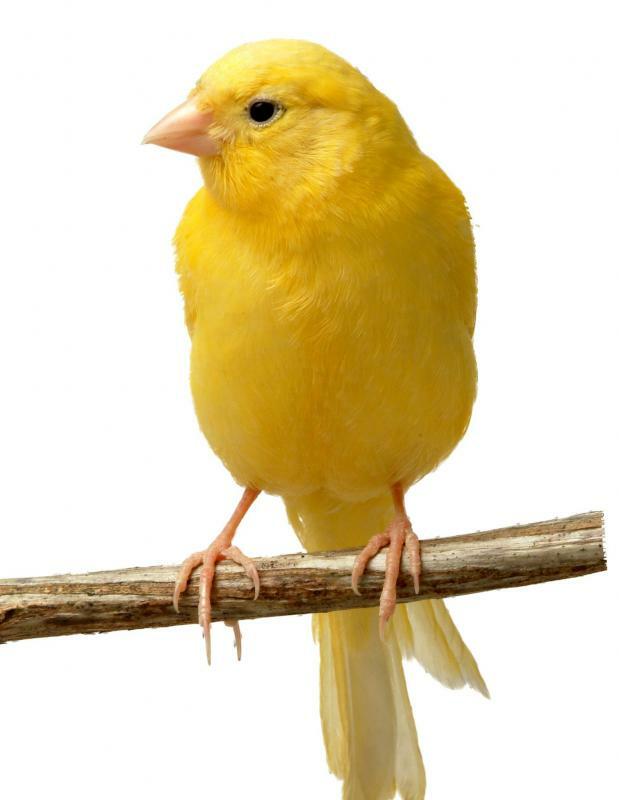 What Are the Different Types of Canary Food? What Factors Affect Finch Prices? What Are the Different Types of Macaw Cages? I am always excited when I see the first robin of the year. This means spring is close and winter is almost over. I have always been fascinated with the pastel blue eggs that robins lay. Sometimes after a heavy wind storm, I will see their eggs that have fallen out of a tree and always feel a little sad. The yellow warbler is another songbird I enjoy listening to. They are not as abundant as some of the other songbirds, and it is always a treat when I hear or see one of them. I know some people take their bird watching very seriously and have some interesting stories to tell. When the songbirds fly south for the winter I always miss hearing them and look forward to their return every spring. I would have to say my favorite songbird is the wren. I look forward to their cheerful sound every year. They usually come to our area the first part or middle of May. It is amazing how much sound can come from such a little body. Some seasons they will raise 2-3 broods of young, and I enjoy watching them work and build their home. They are busy from morning to night and never stop singing their happy song. , but too small for a sparrow. @kylee07drg - That is a great idea about the balloons. I have not found anything that keeps the pigeons away from our house. We have a log cabin and for some reason, they like to nest up in the logs and make a huge mess. Not only is this messy, but they can be very loud too. They start first thing in the morning and go all day long. I have tired putting a scarecrow here and there around the yard, but I think they just laughed at that. I don't mind the soft cooing sound the pigeons make, but when their young are hungry or they see the cats in the yard, they can sound pretty obnoxious. @OeKc05 - I used to have a hard time removing any kind of nest a bird would make, but I now I have to do it several times every spring. We have sparrows who like to build nests on a ledge right above our front door. This creates quite a mess of bird waste and the activity in and out the door never seems to deter them. As soon as I see them start building I take a water hose and wash it down. I don't feel too bad doing this since I do it before they have laid any eggs there. hours later they are back at it again. I never thought of sparrows and starlings as being songbirds though. I am getting better at identifying birds, and there are many beautiful songbirds that visit my yard that I enjoy seeing and listening to. I don't usually feel that way about all the sparrows and starlings we get in the yard. Pigeons and their ability to perch on benches were causing problems for my friend. She had a garden with several decorative benches, and she liked to entertain guests out there, but the pigeons kept defecating all over the benches. She tried using an artificial bird to scare them away. She bought a fake owl, and it worked for awhile, but once the birds realized it hadn't moved in days, they ventured closer and figured out it wasn't going to hurt them. So, she got some balloons and tied them on the benches. She drew eyeballs on them, and I'm not quite sure why, but this worked. I know that the constant movement helped, and maybe they really thought they were being looked at by giant bird eyes! Mockingbirds are my favorite passerines. They amaze me with all the sounds they can make! They often perch in the tree outside my office, and I can hear them singing through the window. One of them stayed there for half an hour one day, and he imitated just about every bird song I've ever heard! I don't know how he remembers them all, because they weren't nearby to imitate right away. One day, I lifted the window and whistled a few notes, just to see if he could copy me. He got really quiet, and I whistled several more times. Finally, he did a perfect impression of me! It is cool knowing that somewhere out there, a bird is singing a song I taught him! @shell4life – I always wanted bluebirds to come live in my birdhouses, but other passerines always seemed to get there first. Sparrows were the ones that always seemed drawn to the houses. I have seen them gripping the perch, as well. They really aren't as pretty to look at as bluebirds, though. I had hoped to be able to see the brilliant blue feathers as the bluebirds flew to and fro and hung out in the area, but I'm stuck with regular old sparrows now. A friend asked me why I didn't just remove the sparrows' nests so that bluebirds could take over, but I couldn't do that! That just seems cruel. I believe that bluebirds are also passerine birds. My dad used to build birdhouses for them, and I often saw them gripping the little perches he had made onto the fronts of the houses. This perch was a little round rod, and it was the perfect size for the birds to grasp before making their way into the little hole that served as a front door. Without that back claw, they wouldn't have been able to hang onto the rod, and they would have had to fly straight into the hole. I imagine that would have been hard, and they might even have slammed into the wall if they missed it by a few centimeters! I remember their eggs, too. They were a pastel blue and so pretty. They reminded me of Easter. Passerines also make use of that backward facing toe in another fashion. During fights for territory sometimes they end up wrestling and use their feet to grab onto the other bird and even hold their beaks shut! I guess the only reason eagles and falcons aren't considered passerines is because they don't sing, even though that's not a prerequisite.